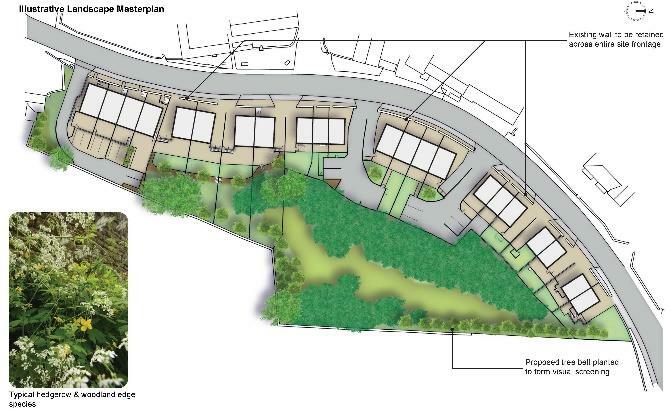 The proposal was for 22 terraced and semi-detached residential properties along the main road in the village of Dacre Banks, near Harrogate, with off-street parking and soft landscaping towards the rear of the properties. The Planning Consent was tied to a Section 106 Agreement for the improvement and management of an adjacent small woodland both for screening and ecological purposes. 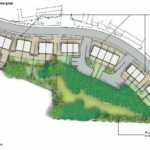 Enzygo prepared the Arboricultural Report and the Landscape Masterplan for the site to secure Planning Permission for the small-scale residential development. 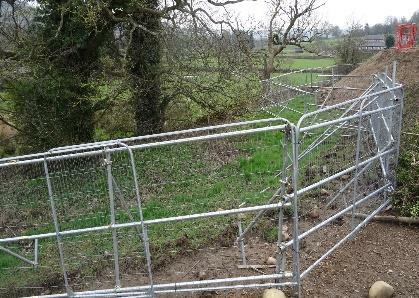 The aim was to ensure the scheme is tied into the surrounding village and open countryside by retaining and protecting existing mature trees, including a small native woodland, all of which were unmanaged but legally protected by Tree Preservation Order. The focus of both the Arboricultural Report, the Landscape Masterplan and the Woodland Management Plan was to retain and enhance the small woodland to the rear of the proposed private gardens to ensure short- and long-term screening of the site is provided. Once Planning Approval was granted, Enzygo assisted with the discharge of a number of Planning Conditions, including the provision of Arboricultural Supervision during construction and the preparation of Hard and Soft Landscape Details to show how a sympathetic choice of paving materials and plants will complement the landscape of a village in the Nidderdale AONB. 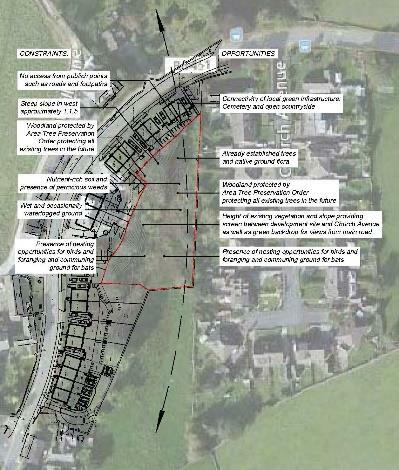 In addition to Planning Conditions to be discharged, a Section 106 Agreement was set up to secure- amongst other points- the long-term value of the adjacent woodland both as a green screen for the development and as a habitat with increased wildlife value. 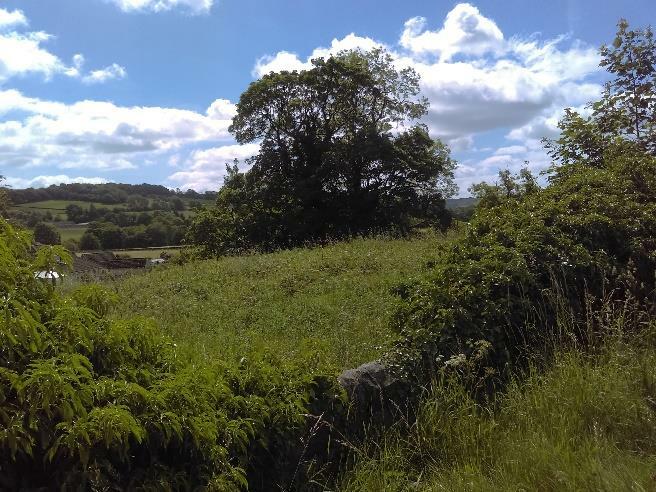 Enzygo prepared a detailed Woodland Management Plan, exploring both the constraints and opportunities of the woodland and setting out a range of objectives to achieve the vision of a healthy and robust wildlife haven. As the author of the Arboricultural Impact Assessment, Method Statement and Tree Protection Plan which were submitted alongside the Planning Application, Enzygo were best placed to provide Arboricultural Supervision to ensure Tree Protection is established before and during construction on site. We have been working closely with both the Client, Design Team, the Contractor and the Tree Officer at Harrogate Council to ensure that the tree protection scheme is implemented and managed in a sensitive yet practical way. Written reports are produced at regular intervals to enable the relevant Planning Condition to be discharged on completion of the works. The preparation of the Management Plan for the adjacent woodland proved more difficult than expected. Although the initial site survey clearly showed that the woodland stretches over a steep natural slope, it did not highlight the wet and sometimes waterlogged conditions at the bottom of the slope. In addition to that, a dense carpet of bramble and nettle had established, making it impractical to insist on establishing a meadow as proposed in the initial Landscape Masterplan. Instead, we developed a management strategy which included the retention of existing vegetation, a regular cutting regime to enable self-setting of other native species, and active introductions of native plant tree and shrub species suitable for wet and shady areas and able to compete with the vigorous species already present. 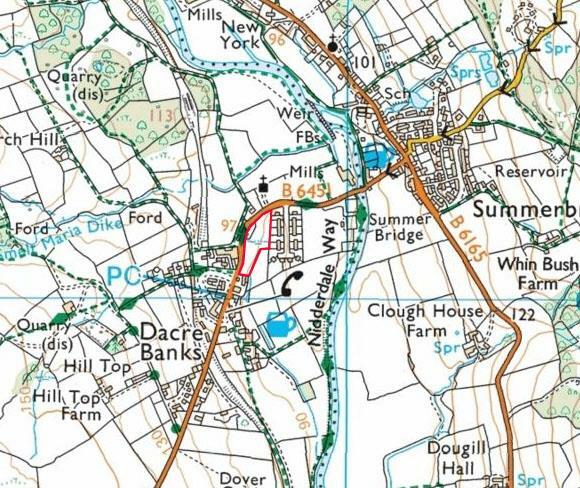 A plan showing both constraints and opportunities within and around the woodland leading to practical solutions for the management of the area. The final proposals for both the Arboricultural and Landscape elements of the site design manage to protect and use the assets already present on site. Soft and hard landscape features blend the development into the rural architecture of the surrounding village and open countryside whilst providing high quality outdoor spaces of aesthetic and ecological value. 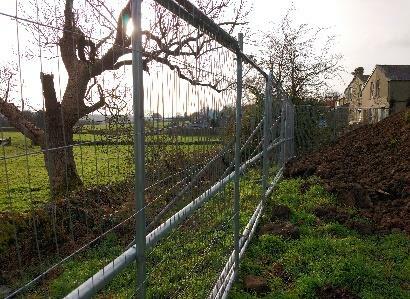 Legally protected trees are retained and protected as far as possible and replacement native tree and shrub planting used to mitigate any losses and soften the development towards the open countryside. At the same time the development budget was met, ensuring that the project meets not just Planning but also Client expectations. Although the co-operation with the contractor on site has been going well from the start of the project, the Arboricultural Supervision in particular during the initial setting up of the tree protection proved to be a valuable tool for both the client and the Tree Officer. We will continue to supervise the ongoing works on site in relation to existing trees to ensure protective measures are maintained and that specialist construction methods are applied where proposed to ensure minimal damage to the trees and their root systems. We will also review the implementation of the soft landscape works, including the woodland enhancement proposals, to ensure these elements have the best chance to meet the high expectations expressed by both our Client and the Local Authority. 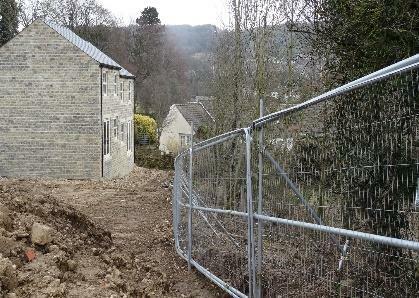 A site meeting with the Tree Officer revealed that an increasing number of similar Planning Applications have been logged at Harrogate Council, in particular in highly sensitive areas along the fringe of towns and villages. Whilst Soft and Hard Landscape Design as well as Arboricultural Impact Assessments (AIA) and Method Statements (AMS) remain standard Planning Conditions, the increased workload forces the council to condition Arboricultural Supervision, passing the responsibility of proving the Arboricultural Method Statements and Tree Protection Plans are properly implemented on to the Applicant.